Green Shipping: Are we getting on board? 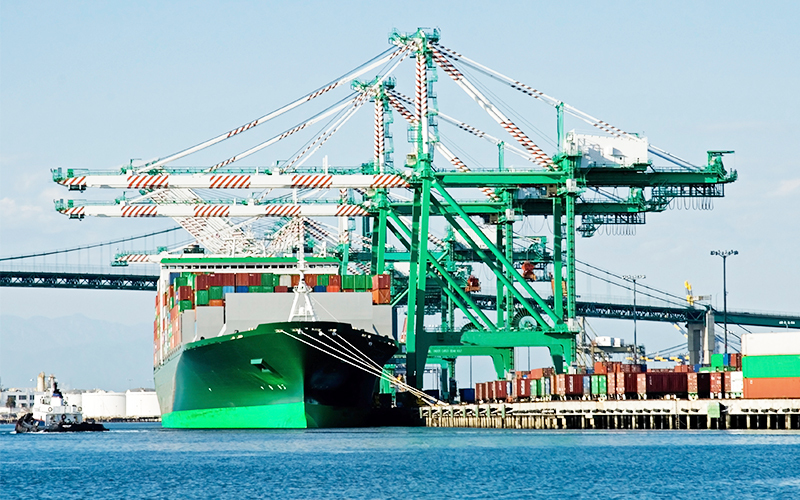 Shipping is considered one of the greenest sectors of industry, but over the past few years carriers have focused on cleaning up their act even further. With some of the biggest companies developing eco-friendly vessels, reducing fuel emissions, saving energy and welcoming an exciting wave of new technologies, it seems that the future for shipping is looking greener by the day. According to a recent study, shipping accounts for around 3% of global CO2 emissions and considering the industry carries around 90% of global trade it could be considered a fairly reasonable statistic. In fact it’s the equivalent to Japan or Germany’s carbon footprint and the same as total international aviation emissions. At a recent meeting in London the IMO rejected a proposal on capping emissions reassuring us that the issue would be ‘addressed at an appropriate future date’. But when exactly that future date will be is a mystery. With an ever growing sector and tightening targets from the UN limiting global temperature rise to below 2C, how long can we afford to wait? The IMO’s own research suggests that shipping emissions are set to rise up to 250% by 2050. In January the EU introduced new legislation for cleaner fuels in European waters. Heavy fuel widely used in shipping is notoriously high in sulphur and new EU rules are intended to, ‘substantially reduce air pollution and its impacts on human health. ’ The result for major shipping firms? An additional £300m in costs to switching to low sulphur fuel. Major maritime organisations urged the EU to reconsider the new measures, maintaining that it would be impossible to implement the new technologies by the 2015 deadline. Whilst some companies struggle to keep up to date with evolving technologies, the pioneers in eco technology and manufacturing are emerging form the shipbuilding yards of South Korea. Maersk’s Triple E Class vessels built by <a href="http://www work tracking software.tuscorlloyds.com/a-brief-history-about-daewoo-shipbuilding-marine-engineering/”>DSME halved CO2 emissions, they boast state of the art heat recovery systems that reduces fuel consumption and promotes longer ship life cycles. The latest advances in ship design has also seen new propulsion systems, waste energy recovery and innovative hull form design to reduce added resistance. But are these all a declaration of long term greener shipping or the relentless quest for efficiency to impact the bottom line? Conveniently for major carriers some cost saving practices have also benefited the environment, allowing companies to publicise ‘green measures, eco-friendly strategies’ but really…is it all down to cost? Not the planet? In DNV GL energy’s recent study 80% of respondents said that cost was the driver for efficiency and only 58% due to environmental footprint considerations. So do studies like this suggest shipping is going green because we care, or because we are being made to? Despite the potential for technology to provide new eco-friendly efficiencies, there is still a long way to go before we see wide scale sustainable changes to the industry as we know it.